Exclusive Transformers Movie Update: Barricade's A Bad Saleen, Yes He Is! Oooh, we love it when we get one of those hot n' exclusive tips from an insider in the know. 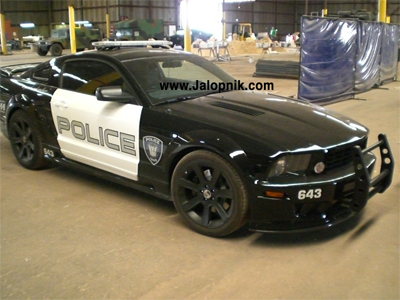 Like these pictures right he-yeah of Decepticon baddie Barricade — the Saleen Mustang who's all about his "enslave and protect" job. Yes, we've seen him before — but not from these many angles, baby. Oh my god, we think we just spewed fan-boy love all over the screen...does anyone have a squeegee? By the way, our tipster sent us some more pictures you'll be able to see here tomorrow afternoon (just follow along at our mini-site) — but we apologize, we don't think our fragile hearts can take any more today! Click The Jump For The Pictures! UPDATE: We've got more exclusive pictures of the Bedouin Village scene up for your fan-boy masturbatory delight!  Exclusive Transformers Movie Update: Bedouin Village Pics!